To people who don’t know what merge conflicts are, they are these magical things that make our life pleasant when we are coding in a group. Okay that was a joke! Too subtle? Anyway, when you are working in a team on a central code base, multiple people might end up modifying the same thing, which usually results in a conflict. Merge conflicts are bound to happen when you are working in parallel with a team of developers. If it hasn’t happened to you yet, then you haven’t been coding long enough. Most of the version management tools try to manage this automatically. If people are working on different things that are independent of each other, then there will be no problems. But unfortunately, we are not in utopia. Here on earth, conflicts happen all the time. When Git cannot automatically merge changes, a merge fails and it will show warning messages. The conflicted file gets filled with these annoying signs – “<<<<<<<“, “=======”, “>>>>>>>”. The only solution when this happens is to merge them manually. Luckily, to make the merge less painful, there are visual tools that assist us in doing this. 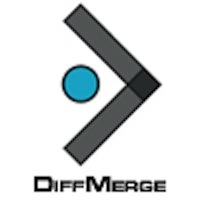 DiffMerge is one such tool and Git allows using it as opposed to using the default tool that comes with Git. DiffMerge is great to perform 3-way merges as it supports 3-way file comparison. The three versions being the old one, the current one and the new one that will go into the repo. During a conflict, you are presented with the version of the branch you are working on, the common file ancestor, and the branch you are merging in. I will be describing how to set it up in Mac OSX, but the rules are more or less the same for any Unix-style system. Before we start, make sure you download the DiffMerge OSX installer from here. You should see a window pop up with these two files being displayed side-by-side. You will also see the differences being highlighted. >> git config --global mergetool.diffmerge.cmd "diffmerge --merge --result=\$MERGED \$LOCAL \$BASE \$REMOTE"
>> git config --global difftool.diffmerge.cmd "diffmerge \$LOCAL \$REMOTE"
This entry was posted in Programming and tagged Coding, Git, Tools, Versioning by Prateek Joshi. Bookmark the permalink. Interesting post and a valuable tool.